Short Answer: If you are trying to lose weight, yes. 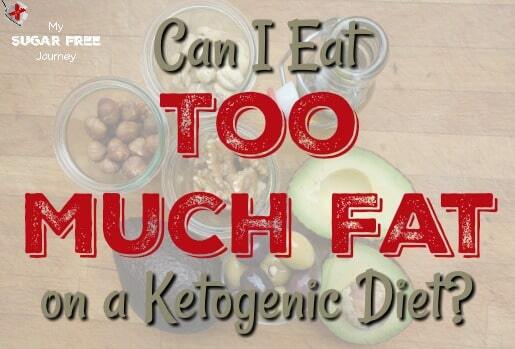 When trying to lose weight on a ketogenic diet, it is absolutely possible to eat too much fat. 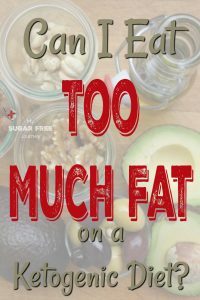 Remember, as much as we talk about the importance of lowering insulin production to keep our bodies from storing fat, you still have to consume less calories than you use to lose weight. The ketogenic diet isn’t a magic trick that bends the laws of physics, it just makes consuming too many calories a much more difficult thing to do. So if you are trying to lose weight, fat should be a high percentage of your calories but total calories should be low enough to cause weight loss. If you are trying to keep a particular medical issue at bay, the higher your ketone level, the better. 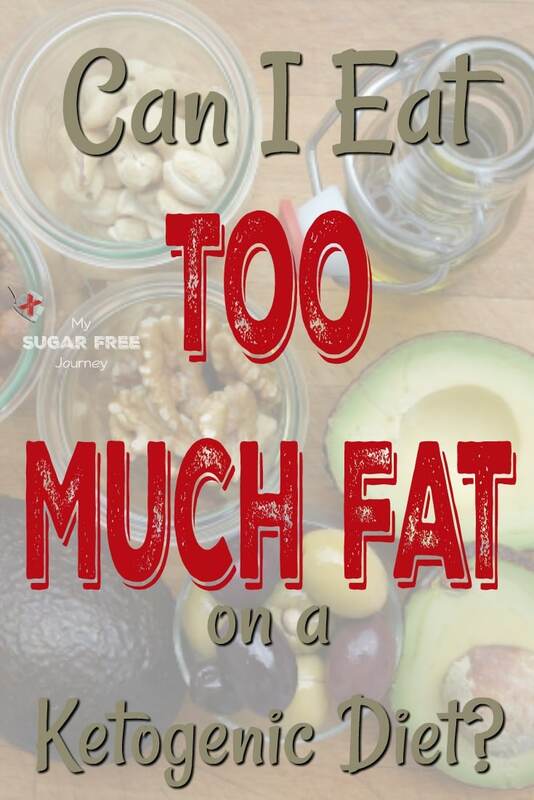 PREVIOUS POST Previous post: The My Sugar Free Journey Podcast – Episode 60: Robert Sikes, the Keto Savage! What are the recommended serving sizes of fat, protein, and carbs per day or meal? You should keep carbs at less than 20g per day. Protein needs to be at about 25% of the diet and fat should be eaten to satiety and will be about 70% of your calories.